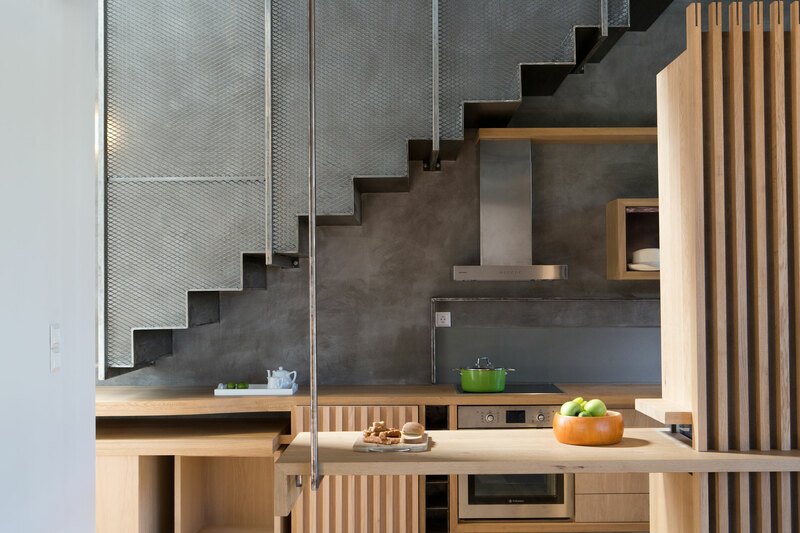 Close to Agios Ioannis sandy beach and surrounded by silvered olive groves ,these two contemporary villas seem to have it all. 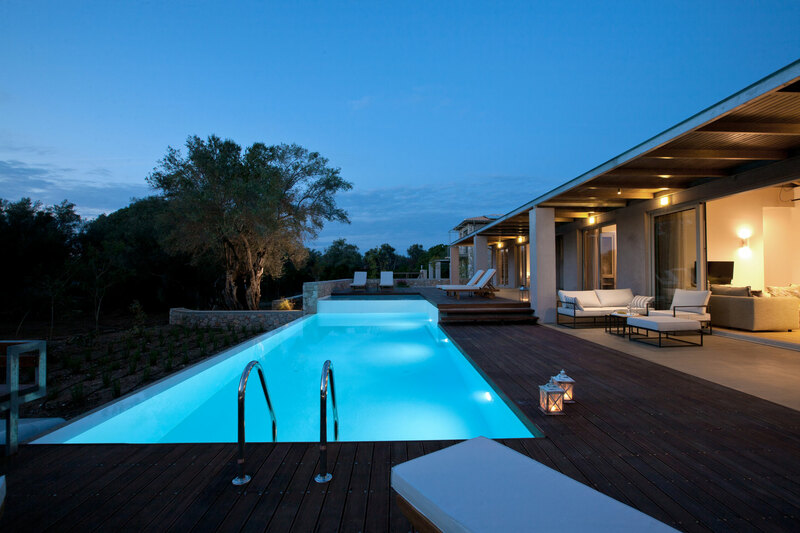 Each villa stands in its own garden with a private pool, a stone built barbeque among the mature olive trees , all fresco dining area ,stylish furniture, a modern designed and well equipped kitchen and spacious bedrooms with en-suite bathrooms providing comfort indoors and outdoors. Luxurious character and contemporary comfort come in equal measure at these lovely stone built villas in the heart of Lefkas olive grove. The villas are encircled by olive trees and are built in a mature garden full of orange, lemon and apple trees. Inside the villas you can find a mix of modern and antique handmade furniture , high open beam wooden ceilings and oak floorings that give a touch of luxury. Outside among several spots to wine or dine there are loungers and a bistrot table beside the pool which is lit for a midnight dip. There is a big pergola with bench seating piled with cushions and all fresco dining next to a stone built-in barbeque. Inside the villas every room has aircondition (fan coil),TV ,WiFi , all the bedrooms have en-suite bathrooms and shaded dining terrace. Outside there is a spacious patio and a stylish infinity pool set in hardwood sundeck. Agrikies villas can be characterized as “designer villas”, because they have the kind of design features and exterior architecture that can be found on the pages of glossy magazines. The overall feeling of these superb “designer villas “is one of distinguished aesthetics, refined taste and consideration of local architecture. The architect through the large openings “removes” the boundaries of indoor and outdoor area allowing the guests in continuous dialogue with the olive grove and garden. The whole house is perceived as a threshold to nature. But most important of all is the hospitality of the people of Agrikies that will make feel like home. Without disturbing your privacy the owners are close to cover all your needs and create the best memorable experience. Complementing the privacy and independence of the villas, the location, which is very close to Agios Ioannis beach (blue flag award) on one hand and very close to the town of Lefkas on the other hand, offers a wealth of facilities and services. Within a 6 minutes walk or 700 meters there is Agios Ioannis sandy beach, one of the best beaches of Lefkas where you can find beachfront restaurants, bars and watersport facilities. Within a ten minute walk you can be in the town of Lefkas with shops, museums, old churches, restaurants, bars and an interesting nightlife.